With more than two decades of international human capital consulting experience, Michèle has worked with a wide range of organizations from startups to Fortune 50, private and public sector companies, as well as academic and executive education institutions. Transforming individuals and teams into high functioning, effective and innovative contributors is one of Michèle’s signature strengths and passions. She is a dynamic and engaged facilitator who enjoys working closely with clients to define strategies, create goals, increase engagement and deliver results. Michèle deploys a pragmatic and structured approach that drives insights and supports clients to make changes, take action and create lasting impact. Michèle has lived in four countries and coached clients from 80+ nationalities, using a portfolio of behavioral assessments that include MBTI®, Predictive Index® (PI®), Strengths Finder, Career Leader and TKI to help individuals and teams increase their self-awareness, improve communication, collaboration and productivity. She has designed and developed several leadership development programs in both academic and corporate environments and is committed to vertical development and experiences that accelerate learning and engagement. Michèle completed a Bachelor of Arts in Psychology, with a clinical emphasis, at the University of California, Santa Cruz. 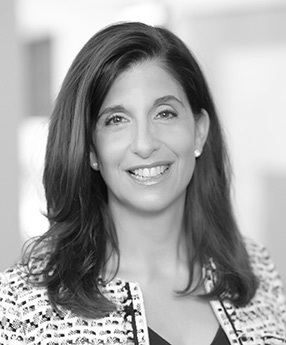 She serves on the Board of Directors of the Arts & Business Council of Greater Boston as Co-chair of the Governance committee and is an active member of The Junior League of Boston. In her free time, she enjoys being with her family, running marathons (13 to date), cooking, visiting art museums and angel investing. Michèle is first generation American and a dual French national.